Ragusa is a UNESCO World Heritage Site in Sicily. It is divided into two parts: Modern and Ibla. 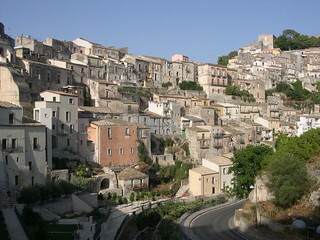 Ragusa Ibla is the lower part of the town and has medieval remains and elegant Baroque buildings and monuments. 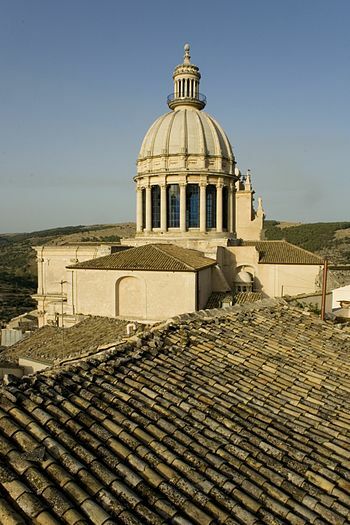 In Ragusa, visit the beautiful churches near Piazza Duomo. The imposing Cathedral of St. George (San Georgio) with the majestic neo-classical dome is one of the most significant works of Baroque Sicilian. The church was built on top of the church of Saint Nicholas after the earthquake of 1693. Climb 250 steps to see the beautiful church that was designed by Rosario Gagliardo and completed in 1775. 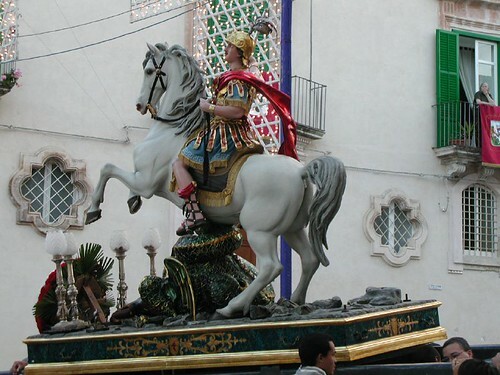 Saint George is the patron saint of Ragusa. 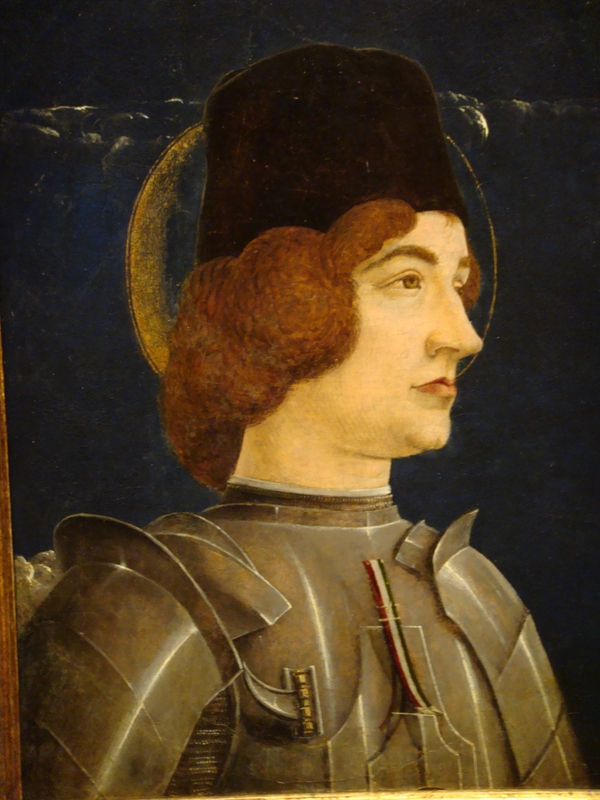 The feast of Saint George is celebrated on the last day of May when his statue is carried out of the Basilica and paraded through the streets with a Holy Chest (Santa Cassa) in a lively procession http://www.youtube.com/watch?v=fVjihqlF-x4&NR=1. On his annual feast day, the statue of Saint George, the dragon-slaying knight, has an event packed day. He watches the fireworks in Ragusa http://www.youtube.com/watch?v=Mvf–DqSJmQ&feature=related before he returns to his noble post inside the church. In Ragusa Ibla, visit the Palazzo Bertini on Corso Italia 35. It was built by the Floridia family in the 1700s. The building is characterized by three masks located in the keystones of the windows which represent three powers. The first mask represents the poor deformed man with his tongue sticking out with some missing teeth. This mask represents the power of he who has nothing has nothing to lose. Another mask represents a tradesman with a turban and moustache. This mask symbolizes that he who has everything and can do anything thanks his money. The central mask symbolizes the nobleman, sculpted in the frontal position. This represents that he who can do anything, even if it is illegal, represents the power of the aristocracy. On Piazza Duomo there is a lovely fountain and the Palazzo Donnafugata. The Palazzo houses an art gallery with canvases by Hans Memling, Ribera, and Antonello do Messina. There are many Vino con Vista opportunities in the province of Ragusa: dine at Il Duomo, a Michelin-rated favorite on Via Capitano Bocchieri 31 or Locanda Da Serafino on Via XI Febbraio 15. Bagglio la Pergola on Contrada Selvaggio is a great place for lunch in Ragusa. The scacce and mpanate are little stuffed pizzas. The Ragusans love their pasta and serve it many ways. Pasta a picurara, brood di maiale, trippa alla ragusana, maccarunedda, Mpanatigghi, and cuccia are all regional specialties. Toast to the delightful cuisine with a glass of red Cerasuolo di Vittoria or enjoy some of the dessert wines like moscato, solicchiato, perpetuo or stravecchio Siciliano. There is an excellent Pasticceria on Corso Vittorio Venato where you can stock up with sweets. There is an 18th century farmhouse “Ermeo Dell Giubiliana” on the way to Marina di Ragusa that is an interesting agriturismo option. Or consider staying at The Mediterraneo Palace on via Roma 89 or Rafael on Corso Italia 40. These enchanting towns are isolated by the Iblean Mountains. Unfortunately, they are still at risk of eruptions from Mount Etna and earthquakes.